The LMS is located at the Hammersmith Hospital. When visiting the LMS, report to reception in the ICTEM building, accessible from the South entrance to the building on the ground floor. 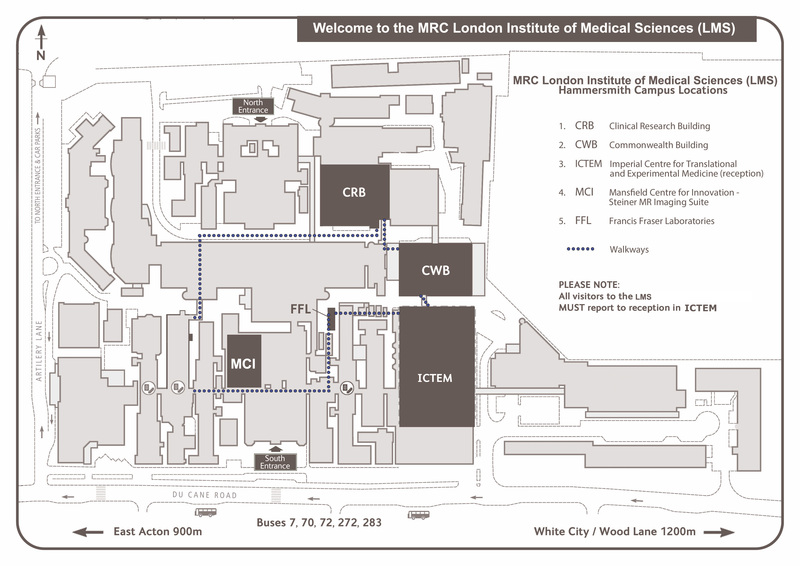 Buildings marked in dark brown are LMS buildings within the wider Imperial College/Hammersmith Hospital campus.